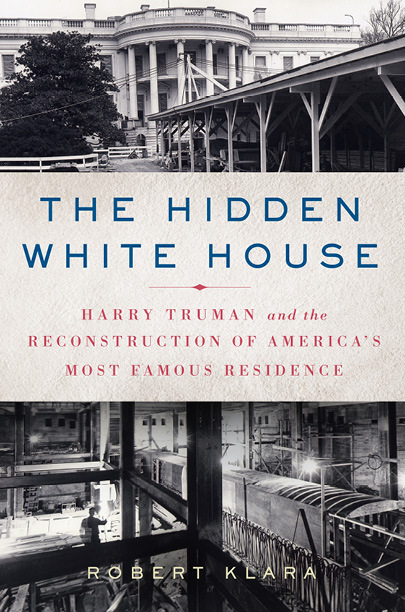 From the day that Harry S. Truman moved his family into the White House in the summer of 1945, he swore the place was haunted. The sound of footsteps echoed down empty corridors, pictures mysteriously fell from the walls, and eerie knocks on the doors at night yielded nobody on the other side. But when the Blue Room’s six-foot-tall crystal chandelier nearly tore loose from the ceiling, nearly decapitating Bess Truman’s tea guests, the horrified First Lady demanded that her husband have the 156 year-old mansion inspected. 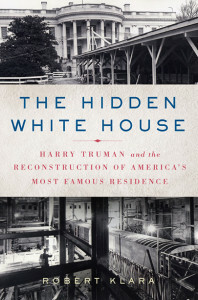 So begins a story that would soon evolve into the most ambitious, technically complex, and yet strangely forgotten building projects in American history: The demolition and reconstruction of the White House. As a handpicked team of the country’s best engineers and architects kept the mansion’s outer stone walls propped up and standing, a army of construction workers gutted the home to every president since John Adams, replacing it with a skeleton of steel and concrete.